Designed to help keep your environment tidy, these wall brackets are perfect for hanging up brushes after use. Complete with a smooth and easy to clean surface, these wall brackets are designed to avoid a build up of bacteria. 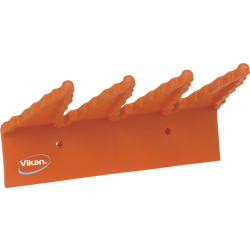 Available in a variety of different colours, these wall brackets will help keep your equipment in good condition.